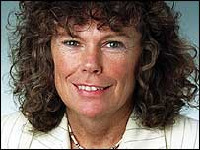 Kate Hoey MP and Former Sports Minister 13-2-08 "I cannot speak highly enough of the dedicated group of volunteers campaigning to save the Broomhill Lido. They have achieved so much just from refusing to give up on the Lido. The HLF was set up exactly for this kind of project and I do so hope they will be successful. My very best wishes".